On Tuesday, the union territory authorities had deployed helicopters to identify the US citizen's likely grave on the North Sentinel Island. Today, a coast guard vessel was positioned near the island and discussions launched on ways to retrieve the body. John Allen Chau has allegedly been to the Andamans several times in the last few years. An American man from Alabama, who was killed by a protected tribe in the Andaman and Nicobar Islands possibly on November 16, had reportedly paid fishermen Rs 25,000 for smuggling him to the island. Efforts to recover his body, supposedly buried by the tribals, have been unsuccessful so far. "We are aware of reports concerning a US citizen in the Andaman & Nicobar Islands. The welfare and safety of US citizens abroad is one of the highest priorities of the Department of State. When a US citizen goes missing, we work closely with local authorities as they conduct search efforts. Due to privacy considerations, we have no further comment to offer," a statement issued by the US Consulate at Chennai read. The Sentinelese, who number about 40, are known to resist contact with the outside world. Activists say the tribes are at threat from outsiders who often bribe locals to meet them. The fishermen who ferried John Chau to the island late on the night of November 14 told police that they anchored their boat about 500 metres from the beach. Early the next day, the American rowed to the island in a canoe he had brought along. He was also carrying a Bible, Andaman & Nicobar Director General of Police (DGP) Dependra Pathak told NDTV. The fishermen saw the Sentinelese shoot arrows at Mr Chau, but he kept going forward. North Sentinel Island is home to the Sentinelese who reject any contact with the outside world. That afternoon, Mr Chau returned to the boat with some non-fatal arrow injuries. He applied medicines, had some food, wrote of his first contact with the Sentinelese in his diary and then -- in the dead of night -- set off for the island again in his canoe. That was the last time the fishermen saw him alive. Early on November 17, the fishermen saw some Sentinelese tribals drag a body resembling that of Mr Chau to the beach and bury it in the sand. Petrified, they returned to Port Blair and gave the diary to a Port Blair resident known only as Mr Alexander. Mr Alexander -- an employee at an electronics firm who also doubles as a Christian preacher -- had been Mr Chau's friend ever since they met in 2016. He contacted Mr Chau's family and friends in the United States, who -- in turn -- wrote to the American consulate in Chennai for help. The Andaman administration was alerted to the matter on Monday. On Wednesday night, the DGP issued a statement detailing the restrictions on public access to the North Sentinel Island. "Access to the North Sentinel Island and its buffer zone is strictly restricted under Protection of Aboriginal Tribe (Regulation)-1956 and Regulations under the Indian Forest Act-1927. The Ministry of Home Affairs, through its recent circulars, also restricts the movement of foreigners in these areas. Despite knowing fully well about the illegality of the action and the hostile attitude of the Sentinelese tribesmen to the outsiders, these people collaborated with John Chau for this visit to North Sentinel Island without any permission from the authorities," it read. 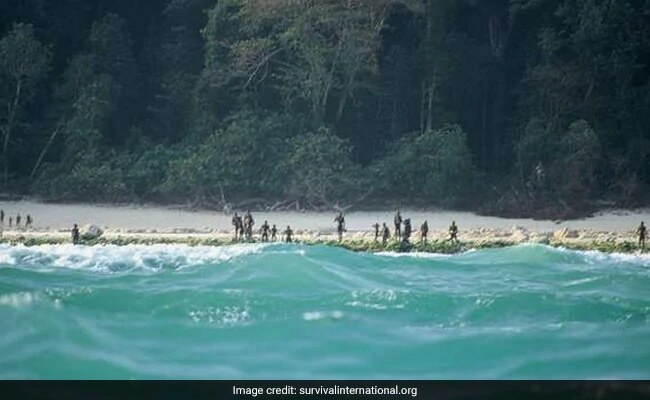 However, questions have been raised about how the fishermen succeeded in anchoring near the North Sentinel Island without being detected by the Navy, the Coast Guard or the Marine Police. This part of the Bay of Bengal is a high-security zone that's closely monitored by the three agencies. The DGP, however, denied any security lapse. "The fishermen and Mr Chau planned their movements in such a way that they appeared to be fishing in the open waters whenever patrol vessels sighted them. Once they had passed by, the boat moved back into prohibited waters," Mr Pathak said. When helicopters flew low over the island to drop relief materials after the 2004 tsunami, the Sentinelese shot arrows at them. Officials fear that entering the island would provoke them again.